We have been looking long and hard at the figures, the spec, the mpg the mph and all the other bits and bobs to bring you our top 10, please let us know if you feel we have missed something, we will start with the small cars and work our way up. Click on the picture of the car for a more in-depth review. 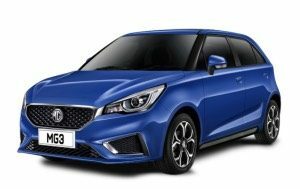 The upgraded for 2019 MG3 offers good looks, space, five doors and lots of equipment without using all your Award. The single engine is a 1.5 litre, 5 speed manual, petrol with 105 bhp that takes 10.4 seconds to sprint from 0-62mph and returns a claimed 47.1 miles per gallon. Excite Trim has a new 8-inch colour touchscreen, Apple CarPlay smartphone connectivity, remote central locking, 16 inch Alloy wheels, rear parking sensors and air conditioning. 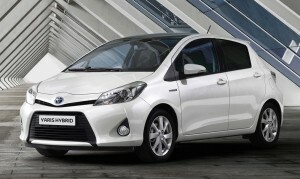 The boot offers 285 litres of space, which is comparable to the class leading Ford Fiesta. 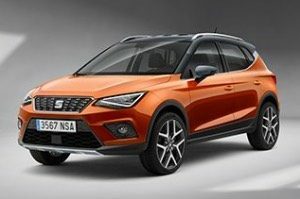 The Arona is based on the excellent Seat Ibiza, 15mm raised ride and 79mm longer, the taller cabin increases the interior space leading to more headroom and a better view for all and the 400 litre boot means the Arona has ample room for four adults and their luggage. FR trim has 17 inch alloy wheels, full LED headlamps, dark-tinted rear windows and twin exhaust pipes and ambient interior lighting in a range of user-selectable colours, FR Sport adds 18-inch wheels, black Alcantara suede upholstery and dynamic chassis control, Xcellence has adaptive cruise control and Keylesss entry while Xcelence Lux adds rear view camera, park assist and digital cockpit. The 113bhp three cylinder petrol engine is excellent, reaching 62 mph in just under 10 seconds and power is delivered seamlessly, with little of the lag you sometimes get with turbocharged engines, economy is an excellent 57.6 mpg as a six speed manual. 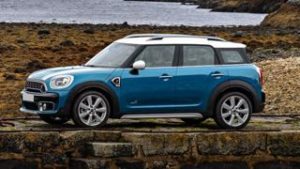 The excellent 1.5 litre petrol Countryman has remained competitive this Quarter, the 134bhp (220Nm of torque) on offer can propel the Mini to 62 miles per hour in 9.6 seconds and return a claimed 51.4 miles per gallon. The Classic trim has a 6.5 inch screen with sat nav and Apple Carplay, DAB radio and rear parking sensors. The option exists to add the Comfort Nav+ which adds Automatic air conditioning, rear parking sensors, passenger seat height adjustment storage compartment pack, floor mats, front centre armrest, heated seats, wireless charging and an upgraded touchscreen to 8.8 inch. This adds £900 to the Advance payment price. 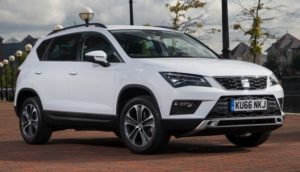 The new SEAT seven seater is a cracking deal, Prices starting at £799 Advance payment for the 1.5 litre petrol (Manual only) Open Tarraco brochure here. The Standard equipment list is huge, all cars have seven seats, digital cockpit, 3 zone climate control, LED lights and cruise control. 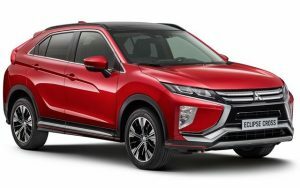 At £1199 Advance Payment the Xcellence 2.0 litre diesel manual (£999 as 1.5 petrol) adds 19 inch Alloys, Sat nav, wireless phone charging, rear camera, alcantara sports seats, adaptive cruise control, park assist, keyless entry, electric tailgate and privacy glass. 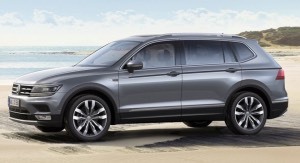 Automatic cars are limited to the 4wd diesel starting at £1999 AP, the Tiguan Allspace is a better offering. 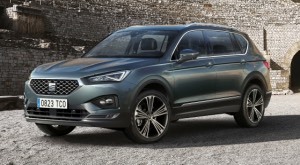 The on – off situation regarding the Allspace continues, the latest news is that it is now back on the Scheme in the new ‘Match’ trim which includes, adaptive cruise control, sat nav, parking sensors, front and rear, 19 inch alloy wheels, keyless entry, privacy glass, electric tailgate, three zone climate control and park assist with rear view camera. The 148 bhp 2.0 litre diesel is nothing short of fantastic. Four cars are on the Scheme, a six speed manual (£1149 AP) or a 7 speed DSG automatic with either two or four wheel drive, bizarrely the 4wd car is cheaper, £1449 AP compared to £1649 for the front wheel drive car. This Quarter also sees the SEL trim front wheel drive Allspace added only as a manual car at an excellent £1849 AP. 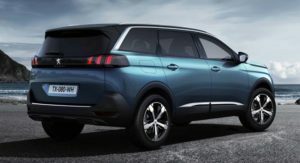 The 5008 has changed from a people carrier into a chunky SUV, it’s a whopper too at 4.64 meters in length with a 2.84 metre wheelbase, a full seven seater with three matched sized seats in the second row and two removable seats in the third row which once removed create a cavernous 1060 litres of boot space. 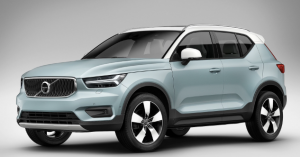 All 5008 models come with an eight-inch touchscreen infotainment system and a 12.3-inch digital driver’s display alongside smartphone mirroring, dual-zone climate control and rear parking sensors. 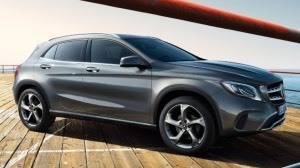 A new 1.5 litre diesel (68.9 miles per gallon) replaces the 1.6 litre, the new engine has an extra 10bhp, now 128, as a six speed manual or new this quarter as an 8 speed automatic. 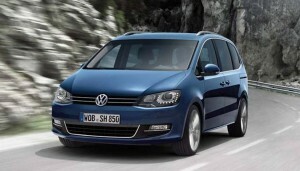 The new 2.0 litre diesel offers caravan puller an option with 178 bhp, 8 speed auto only. 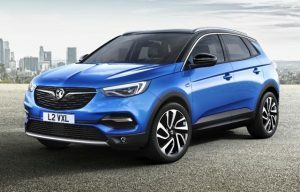 The Vauxhall Grandland X is based on the same platform as European Car of the Year (2017), the Peugeot 3008. The 1.2 litre three cylinder petrol with 128 bhp is a joy to drive around town, quiet and reasonably punchy, 0-62 in 11.1 seconds, it officially returns 55.4 mpg when fitted with the six-speed manual gearbox, or 55.3mpg as a six speed automatic. 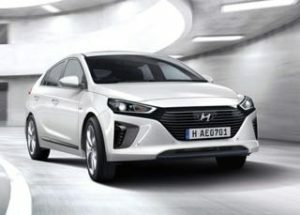 Entry-level SE models are the best value as offer a seven-inch touchscreen with Apple Carplay and Android Auto, DAB radio, rear parking sensors, 17-inch alloy wheels, automatic headlights and wipers, cruise control, dual-zone electronic climate control, leather-covered steering wheel, steering column adjustable for reach and rake, steering wheel mounted audio controls and front fog lights. Prices have been reduced by up to £1849 over the last two quarters with the manual car now Nil Advance Payment with further reductions across the range. Full review here. The Alteca is the sister car to the VW Tiguan and Skoda Karoq, the Seat is a little smaller (boot is 510 litres compared to 615 in the VW with the seats slid forward) but as is the way with Seat cars is a a little more sporty by design. The 2.0 litre diesel with 148 bhp is an excellent choice, economy is a claimed 60.1 mph for the manual car and 62 mph can be reached in 8.8 seconds and with 340 Nm of torque it pulls well and has a braked tow weight of 1900kg. Spring Best Buy – Seat Ateca ‘FR Sport’ 2.0 148 bhp diesel manual – £799 Advance Payment (£67.40 wpms) or £999 (£68.35 +£57 wpms) as an Auto (also £999 Xcellence trim for Auto). The T3 Manual R-Design is £2899, inscription £2999. The Auto T3 is £3499 for the R-Design and £3749 for the Inscription trim. The T4 Auto R-Design is £3749 Advance Payment. 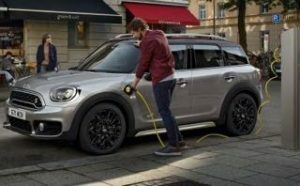 The Mini Countryman Plug in Hybrid has a 1.5 litre 3 cylinder petrol engine powering the front wheels and an 88hp electric motor powering the rear wheels, the total power avaialble combining the two engines is 224 brake horse power and a 0-62 miles per hour can be achieved in 6.8 seconds. More importantly you can drive up to 25 miles (around 17 in reality) on electric power alone from a fully charged car. Charging can be as fast as two hours fifteen minutes and it is also possible to charge from a household 3 pin plug, though does take longer.